Since I took the vegan challenge I had not made any dessert or sweet as most of the Indian sweets I make are made with ghee and milk. 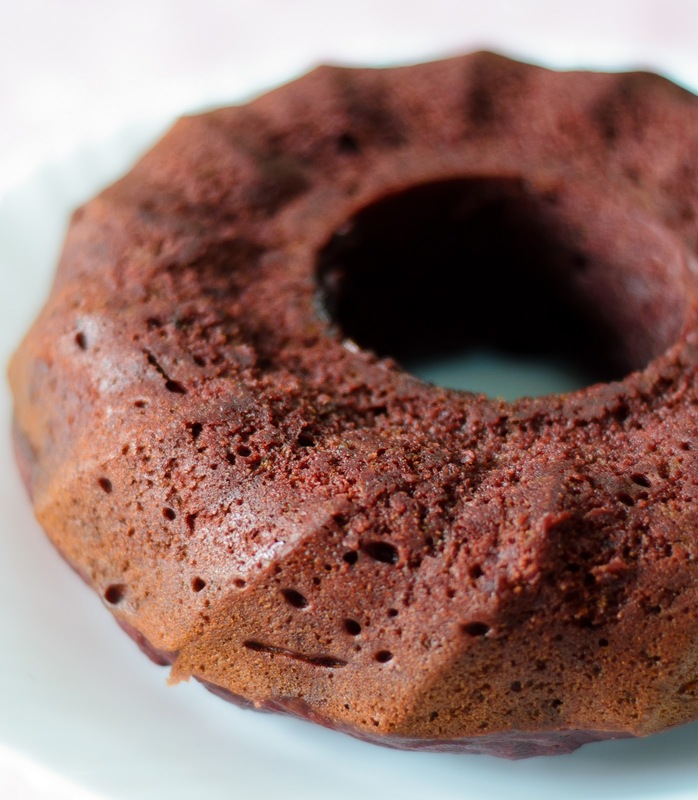 But when I saw this vegan bundt cake at Food Librarian's space I was amazed at it's texture and since I had all the ingredients handy, I immediately put on my baking gloves. The cake turned out to be super moist and had rich flavour. 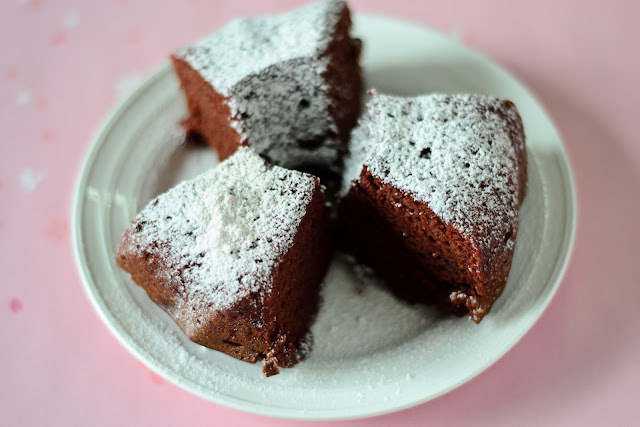 Beetroot gives this cake a wonderful red colour and softness. Preheat the oven at 190 degrees C and grease the bundt pan and keep aside. In a bowl cream together oil and brown sugar. Add in the beet purée, cocoa powder, vanilla extract and mix together. In another bowl sieve all purpose flour, salt and baking powder together. Add this dry mixture to the wet beet mixture and mix everything together just until combined. Pour the mixture in the prepared bundt pan and bake for 35- 40 minutes or till done. If a screwer inserted in the centre of the bundt comes out clean, the bundt is done. Wait for the bundt cake to cool and then invert in a plate. My husband and daughter liked their cake with generous dusting of confectioner's sugar and I enjoyed mine plain. Note-Instead of cocoa powder 1/4 cup of any non dairy choco chip can be substituted .And dairy choco chip can be substituted for a non vegan version. Sending this bundt to National Bundt day at Mary- The Food Librarian's space. Also linking this to Srivalli's Kid's Delight Event hosted at Cooks Hideout space. My kids love beet.So the recipe is bookmarked Raji.Cake looks moist and yummy. Baking with veggies is so exotic... loved the cake..
Yummy cake Raji! Love that colour. Have heard that beet cakes are yumm. Want to try it some time soon. Cake looks absolutely marvellous,super moist and interesting..
Wow! loved your first click... Looks so moist! Yuuuuuuuuummmmy one! Chocolate cake with beets looks amazing.. lovely color and cake is so moist and delicious. Thanks for sending it over to Kid's Delight event. Lovely cake dear..Looks so perfect. This looks fantastic Raji, perfectly made. Yummmmmy..........feel like grabbing a slice. Beautiful! Love the color that the beet imparted to the cake! I don't really like beets but this looks DELECTABLE!!! Nice. The bundt is exquisite and spongy! So tasty! 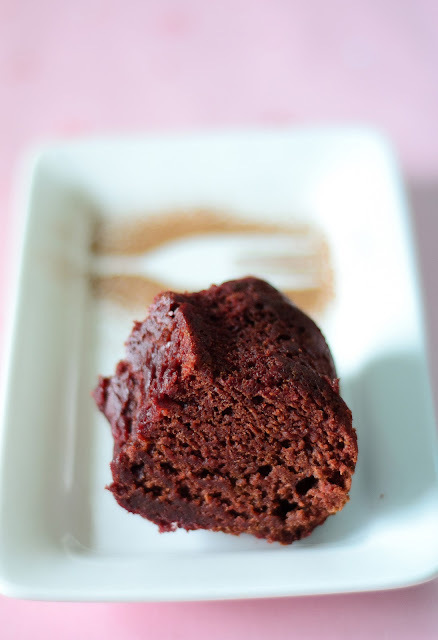 Delicious soft bundt cake love the beet root in here. This is a nice way to include beets .. cake looks moist and yummy. aweosme cake. super moist as you promised. lovely Raji.. the cake looks fabulous and texture, color and the moisture. i am so happy that you are cooking up fun vegan things and liking them! Keep on going! Looks like a great recipe...you can see the lovely texture in the photos. I've never made a cake with beets before, but you've inspired me! Never tried this combo, great texture and yummy! Cake looks soft n delicious. Innovative recipe. Love it. Seems like the only way my family can be cheated into eating some beets. How do I subscribe you via email? Hey Anita, Thanks for dropping by..I have now added the subscribe by email gadget. Vegan diet is going good for me. True that we vegetarians follow more or less vegan diet, but after eliminating full cream milk and curd from my diet I feel light and less bloated, and now even started liking soy milk. I have eliminated ghee from my parathas and tadkas, so truly saving lots of unnecessary fat from entering into my already broad waistline. Though it may be difficult to continue this for ever but still planning to stick to this diet as much as possible. It certainly luks so moist and inviting, good work by you. Vegan version sounds splendid. simply SUPERB raji - bookmarking this one! How innovative... looks absolutely delicious. thanks Raji for your response. I would ask a few more months down the line about how you feel different. I am most interested in this little vegan experiment. Wow, baking with beet sounds interesting and so healthy. Good way to get some veggies in my kid! 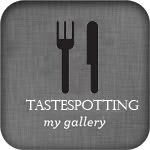 it's been so long since I last visited your blog. I was so sure I was following you ... sigh.. I just took care of that. I'm so impressed by your photos, WOW, all are STUNNING! Thanks for sharing. Hope you're having a wonderful week. Yummmm!! Tasty and healthy , would love to try this .